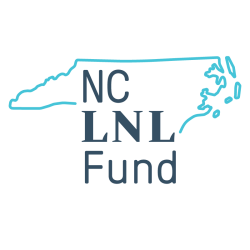 The North Carolina Community Foundation announces that a group of local and national funders has established the North Carolina Local News Lab Fund with NCCF to support the future of local news. The North Carolina Local News Lab Fund will invest in organizations that are working to ensure people and communities have access to the news and information they need. The Fund is currently accepting applications from nonprofit news organizations and news providers; other types of information providers such as libraries and community centers; and storytellers that provide news and information such as documentarians, youth media and organizations that work on community engagement. To learn more and apply, visit http://bit.ly/NCFUND. Applications will be accepted until March 30 at 5 p.m. The Fund is the start of a new multi-year commitment to the state from the Democracy Fund, which is working together with local funders and stakeholders to build the Fund. Opening with an initial investment of $720,000, the Fund will be housed at the North Carolina Community Foundation and will be managed by an advisory group made up of local stakeholders and the Democracy Fund. Local partners on the advisory board include representatives from the Z. Smith Reynolds Foundation, Mary Reynolds Babcock Foundation, Prentice Foundation and the A.J. Fletcher Foundation. The Democracy Fund also launched a sister fund in New Jersey, the New Jersey Local News Lab Fund, in partnership with the Community Foundation of New Jersey.